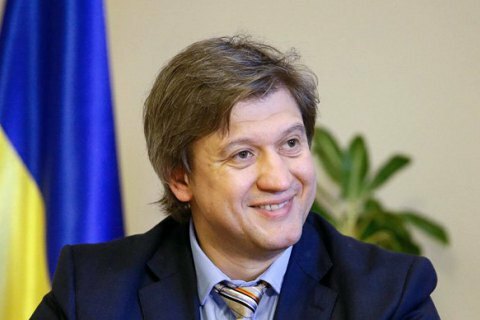 Danylyuk is expecting a positive decision from the IMF. Ukrainian Finance Minister Oleksandr Danylyuk has said the International Monetary Fund (IMF) Executive Board has scheduled a meeting to consider the issue of the next tranche to Ukraine. "The date has been set, let the IMF announce it," the minister told journalists in Kyiv on 5 September. Danylyuk said he hoped for a positive decision from the IMF. The IMF website contains no mention of a meeting on Ukraine. The next meeting of the Fund's board of directors will consider the issues of Sudan, Kiribati, Azerbaijan, Palau, Tuvalu and the Philippines. On 3 September, President Petro Poroshenko said that the IMF meeting on Ukraine would take place in "a a few days." IMF spokesman Gerry Rice said on 1 September that the Ukrainian issue could be considered in the second half of September. The last time Ukraine received an IMF tranche was last August. The IMF mission worked in Ukraine from 10 to 18 May, after which it was announced that the Fund would consider the next tranche to Ukraine in July. However, the Board of Directors did not meet on the Ukrainian issue neither in July nor in August.